BCE, Rogers, and Telus are Canada's 3 largest publicly traded telecommunications companies. All three are solid long-term investments for investors seeking a lower level of volatility. Each company, however, has a different dividend policy which will likely influence an investor's investment decision. This article compares each company's dividend policy. BCE, Rogers Communications, and Telus have somewhat different dividend policies. Each company is a solid long-term investment for investors seeking a lower level of volatility. 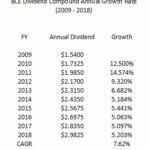 BCE has the highest dividend yield of the 3, T has an attractive dividend yield and increases its dividend semi-annually, and RCI has rewarded shareholders in recent years primarily through share price growth. Investors wishing to look at the US listings of these 3 companies should use the symbol TU for Telus' US listed stock. Using the symbol T for the US listing will generate results for AT&T. Some investors have learned the hard way in recent weeks that stock prices are not always on a nice upward trajectory. Not only did the share price of less than stellar companies experience a significant pullback but many higher quality companies also threw investors a curveball. This is why equity investors would be well advised to maintain a well balanced portfolio that includes ‘Steady Eddy’ stocks. Telus Corporation (TSX: T) – $27.445B market cap. I am of the opinion that I can have adequate exposure to the Canadian telecommunications industry without having to invest in the 4th largest industry participant; SJR-B’ subscriber base (consumer, business network services, and wireless) is much smaller than its larger competitors. Moody’s has assigned a Baa3 long-term credit rating and S&P Global has assigned a BBB- long-term credit rating. These ratings are the lowest tier of the lower medium grade rating category and are lower than the ratings assigned to SJR-B’s larger competitors. Fundamental analysts will examine various macroeconomic factors such as economic and industry conditions as well as various microeconomic factors such as a company’s financial condition and its management. The goal of this exercise is to produce a quantitative value that an investor can compare with a security's current price, thus indicating whether the security is undervalued or overvalued. The result of the analysis conducted by fundamental analysts is reflected in the Beta metric; this commonly used measure reflects the volatility of an asset or portfolio in relation to the overall market is Beta. A Beta rating of 1.0 is assigned to the overall market. Each stock is then assigned a Beta rating and this rating is compared to that of the overall market. Stocks that exhibit a larger variance than the market over time are assigned a Beta greater than 1 while those that experience less than the market variance over time are assigned a rating of less than 1. Investors seeking to reduce the level of volatility in their portfolio are often drawn to less volatile industries. The Canadian telecommunications industry is one such industry in which the largest industry participants have a Beta less than 1. Many stock screeners will reflect a company’s Beta and the screener I most commonly use allows me to screen for various metrics including Beta. Ironically, T has the highest Beta of the 3 companies yet it has experienced the smallest variance in its 52 week stock price. Naturally, the Beta metric should not be used in isolation. An investor may find it entirely acceptable to assume a higher level of volatility (risk) if the return side of the investment more than offsets the additional level of risk. In this article I do not delve into the minutia of how each company has performed in the most recent quarter nor do I look at whether there is sufficient Free Cash Flow to service the dividend; there is no question that all three companies have the wherewithal to service their dividend. I do, however, provide links to the Q3 2018 results that are reported on each company’s website. Rather than delve into Q3 results, I look at credit ratings (the risk aspect), dividend and dividend yield (the reward aspect), and current valuation. It will be readily apparent that all three companies have a different approach when it comes to their dividend. Depending on the level of importance an investor places on dividend income will most likely heavily influence the order of preference in which one would invest in these companies. On November 1st BCE reported its Q3 2018 results. Additional information can be found in the BCE – Q3 2018 Presentation. On October 19th RCI reported Q3 2018 results. Additional information can be found in the RCI – Q3 2018 Presentation. This link leads to a nice condensed historical snapshot of RCI's financial results as at its fiscal year end (December 31st) for the past several years. On November 8th T reported Q3 2018 results. Additional information can be found in the T – Q3 2018 Supplemental Investor Information. I fully recognize not everyone has my somewhat low tolerance for risk when it comes to investing. I have, however, developed this low tolerance after having witnessed acquaintances suffer a permanent impairment to capital. It is for this reason that I look at a company’s credit rating as part of my analysis and explains why abhor speculative investments. A relatively recent example of how reviewing a company’s credit risk saved me a lot of money was when I decided to liquidate my General Electric (GE) shares in 2017 before Moody’s downgraded the long-term unsecured debt to A2 and before the worst of GE’s stock price downtrend; Moody’s now rates GE’s long-term unsecured debt Baa1. I am fully aware that GE’s current Baa1 rating from Moody’s and BBB+ rating from S&P Global is the same, or reasonably similar, as the ratings assigned to the 3 companies reviewed in this article. In the case of GE, however, the ratings trend was negative. In the case of BCE, RCI, and T, Moody’s and S&P Global’s ratings of these companies are stable. T - upgraded from Baa2 to Baa1 in February 2007. The rating was withdrawn in June 2011 but was reinstated at Baa1 in September 2016. S&P Global has assigned a BBB+ rating to each company for several years. T – since September 2007. Here are the links to each company’s respective web page in which the current credit ratings are reflected (BCE, RCI, and T). 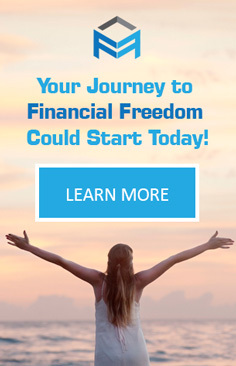 I provide this link so you can perform your own comparative analysis over various timeframes. All dollar values reported on this site are in USD and calculations are as based on each company’s US listed shares. The diluted number of shares outstanding obviously has an impact on EPS and share price so this is a metric I also look at closely. After having looked at a number of financial statements I have seen my share of companies which have issued additional shares that have not truly provided any benefit to unitholders/shareholders. Such is not the case with BCE. I find the increase in BCE's share count for the completion of acquisitions over the last few years to be acceptable given that these acquisitions are/will be accretive to earnings. On January 31, 2017 there were ~870.7 million shares outstanding. ~27.64 million shares were issued for the MTS acquisition; in my March 31, 2017 article I mentioned that 'On March 17, 2017, BCE completed its acquisition of all of the issued and outstanding common shares of MTS'. In addition to the issuance of shares for this acquisition, there were shares issued under the employee stock option plan and the employee savings plan which increased the number of outstanding shares as at December 31, 2017 to ~901 million. Share count in FY2016 increased as a result of shares issued under BCE's employee stock option plan, dividend reinvestment plan, and employee savings plan (ESP). Share count in FY2015 increased as a result of shares issued under a bought deal offering, the acquisition of Glentel, BCE's employee stock option plan, and employee savings plan (ESP). Share count in FY2014 increased primarily as a result of shares issued for the privatization of Bell Aliant. Additional shares were issued to a lesser extent under BCE's employee stock option plan and employee savings plan (ESP). If you are wondering whether BCE's share count has continued to increase subsequent to December 31, 2017, the answer is that share count has actually dropped as at September 30, 2018. BCE issued ~22.5 thousand shares for the acquisition of AlarmForce and ~90 shares under the employee stock option plan but it has repurchased ~3.086 million shares. I fully expect additonal shares issued in Q4 under BCE's employee stock option plan, dividend reinvestment plan, and employee savings plan (ESP) will offset the shares repurchased in the first 9 months of the current fiscal year. RCI has Class A shares which carry voting rights and Class B non-voting shares; the Class A shares are very thinly traded. Consolidated share count has remained reasonably stable for the past several years and as at December 31, 2017 there were 112,407,192 Class A shares shares outstanding and 402,403,433 Class B shares outstanding. This share count has essentially remained stable since FY2013. In FY2012 and FY2011, the consolidated weighted average number of Class A and B shares outstanding was ~519 million and ~543 million respectively. T's basic total weighted average shares outstanding (expressed in millions) for FY2011 - 2017 was 649, 651, 640, 616, 603, 592, and 593. The year-end shares outstanding over the same timeframe was 650, 652, 623, 609, 594, 590, and 595. There were ~596 million shares outstanding as at September 30, 2018. 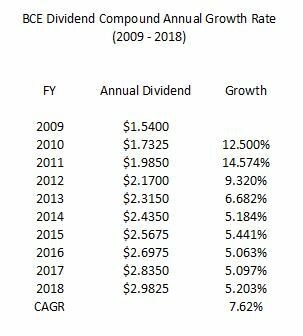 If you look at BCE’s dividend history you can see it was spotty prior to 2009. Just prior to the Financial Crisis there was an attempt to take BCE private and dividend increases were put on hold and even suspended for a couple of quarters; that takeover attempt fell through in November 2008. The quarterly dividend resumed just subsequent to the announcement of the failed takeover attempt. I have purposely decided to calculate BCE’s CAGR starting from the beginning of 2009 so as to exclude the period in which BCE suspended its dividend. In my opinion the timeframe used is long enough for current purposes. On November 1, 2018, BCE’s Board of Directors declared a quarterly dividend of $0.755/share payable on January 15, 2019 to shareholders of record at the close of business on December 14, 2018. With BCE having closed at $54.10 on November 9, 2018, the $3.02 annual dividend provides a dividend yield of ~5.58%. I fully anticipate an increase in BCE’s dividend will be announced when BCE reports its FY2018 results in early February 2019 and envision the dividend will be increased by ~5% bringing the new quarterly dividend to ~$0.793. BCE’s dividend payout policy is 65% - 75% of free cash flow (FCF). YTD FCF is $2.545B and management has indicated it is on track to meet this payout range. 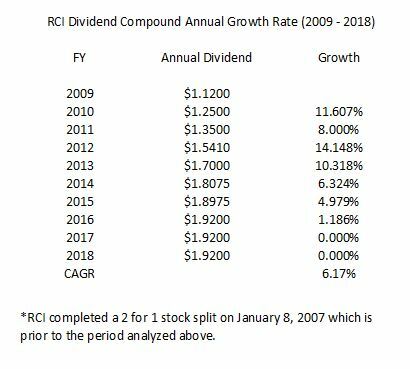 RCI’s dividend history can be found here and the CAGR of its dividend for the 2009 – 2018 timeframe is as follows. 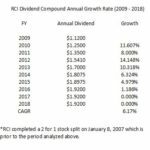 RCI’s dividend growth rate and dividend policy is the least attractive of the 3 companies; note how its dividend has remained constant at $0.48/quarter since the April 2015 dividend payment. On the basis of a November 9, 2018 $67.54 stock price, the $1.92 annual dividend provides investors with a ~2.84% dividend yield. While investors do not generate the same level of income from a RCI investment as with BCE and T, the growth in RCI’s stock price has significantly outpaced the other two companies thus resulting in a superior investor return over the recent few years. RCI generates ample FCF and its continued ability to service the quarterly dividend does not appear to be at risk. 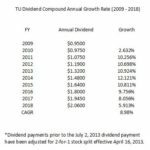 T’s dividend history can be found here and the CAGR of its dividend for the 2009 – 2018 timeframe is reflected below; the webpage reflects T’s shareholder friendly dividend policy and dividend growth program. 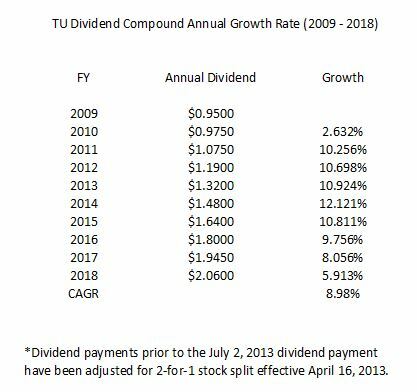 On November 8, 2018, T announced an increase in its quarterly dividend from $0.525 to $0.545 representing a ~3.8% dividend increase. I envision this dividend remaining constant for 2 quarters and another ~3.8% dividend increase effective with the July 2018 dividend. Stock screeners currently reflect a dividend of $2.10 and on the basis of a November 9, 2018 closing stock price of $45.88 we get a dividend yield of 4.58%. We now know the annual dividend, however, is $2.14 (2 payments at $0.525 and 2 payments at $0.545) which gives us a dividend yield of ~4.67% based on the November 9th stock price. As with the other two companies, T generates strong FCF and its continued ability to service the quarterly dividend does not appear to be at risk. BCE’s adjusted diluted EPS guidance for the current fiscal year is in the range of $3.45 - $3.55; for the purpose at hand I will use $3.50. With BCE trading at $54.10 we arrive at a forward adjusted PE of ~15.46. RCI’s adjusted diluted EPS for the first 9 months of FY2018 is $3.21 and the mean consensus FY2018 estimate from multiple analysts is for adjusted diluted EPS of ~$4.26. Using RCI’s current $67.54 stock price we get a forward adjusted PE of ~15.85. T has generated $2.08 of adjusted diluted EPS for the first 9 months of FY2018 and the current mean estimate for FY2018 is $2.85. T is currently trading at $45.88 which gives us a forward adjusted PE of ~16.10. Relative to its respective historical 5 year average PE, each entity appears to be trading at a discount in the range of 5% - 10%. In my opinion all 3 companies have qualities which will appeal to different investors. BCE will appeal to investors focused heavily on dividend yield; I recognize BCE’s long-term credit rating is inferior to the other 2 companies but I do not view the slightly lower credit rating to be cause for concern. I have sufficient exposure to BCE and will most likely not acquire any more shares other than through the automatic reinvestment of dividends. RCI will appeal to investors who are willing to forego an attractive dividend yield in exchange for the opportunity to generate outsized capital gains. It has been the superior performing company over the last few years with much of the returns having been generated from the appreciation in stock price. Personally, I have a number of holdings which provide me with far greater opportunity for capital gains growth (eg. 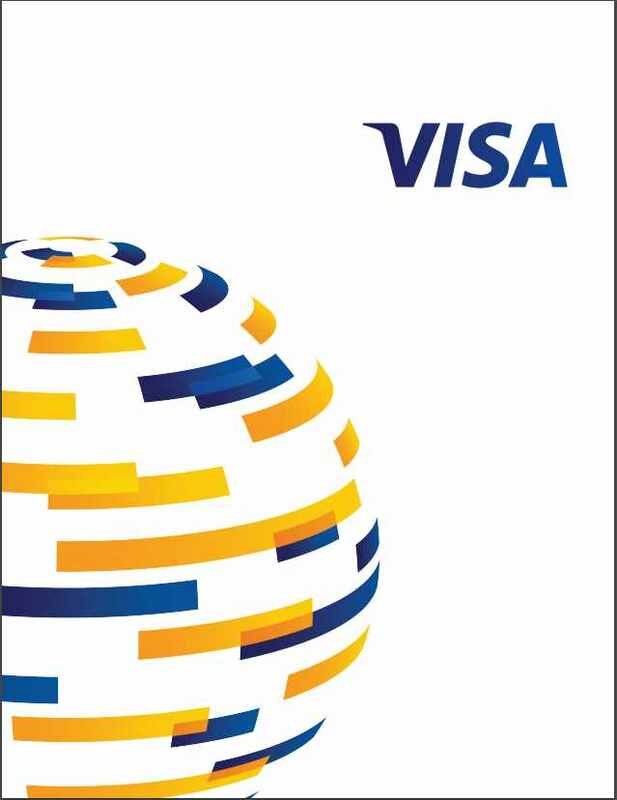 Visa, Mastercard, Berkshire Hathaway, Broadridge, Becton Dickinson, Brookfield Asset Management). I seek a steadily increasing stream of dividends from my Canadian telecommunications sector holdings, and therefore, am unlikely to acquire RCI shares in the foreseeable future. T will likely appeal to investors attracted by the semi-annual dividend increase policy and the reasonably attractive dividend yield. I recognize the 2018 dividend growth was ~6% but management’s guidance calls for 7% - 10% and I fully expect this growth level once T’s industry leading fiber to home deployment is completed; this should lower costs and improve 5G effectiveness over the next several years. Since my objective is to generate an increasing stream of dividend income from my Canadian telecommunications sector holdings and my T exposure is but a few hundred shares, I intend to acquire additional T shares on weakness. Disclosure: I am long BCE and T.